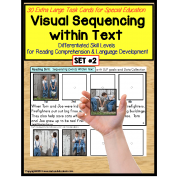 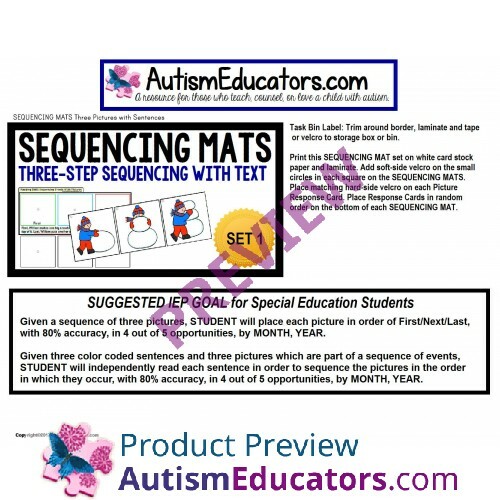 With vibrant, oversized picture response cards, this Sequencing Mat set is the perfect sequencing of pictures activity for Pre-K, Kindergarten, children with autism and special learning needs. 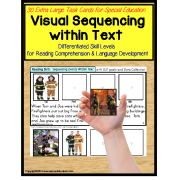 For more advanced learners, color coded sentences encourage reading and placement of FIRST, NEXT, and LAST sequence of picture cards. 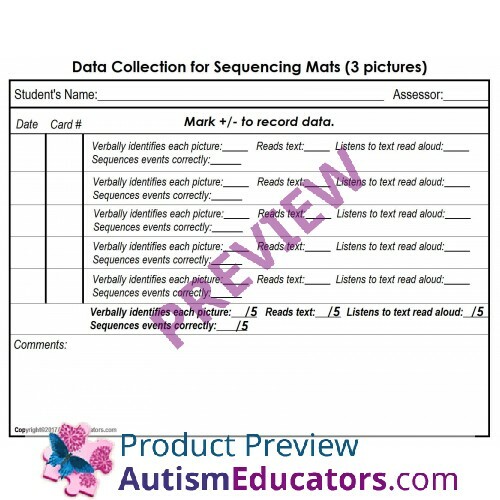 IEP Goals and a Data Recording Sheet is included to easily monitor your students’ progress! 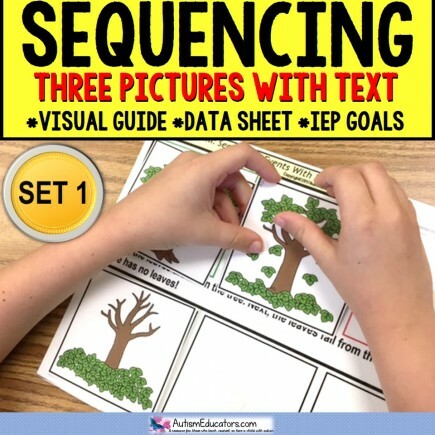 Given a sequence of three pictures, STUDENT will place each picture in order of first, next, and last, with 80% accuracy, in 4 out of 5 opportunities, by MONTH, YEAR. 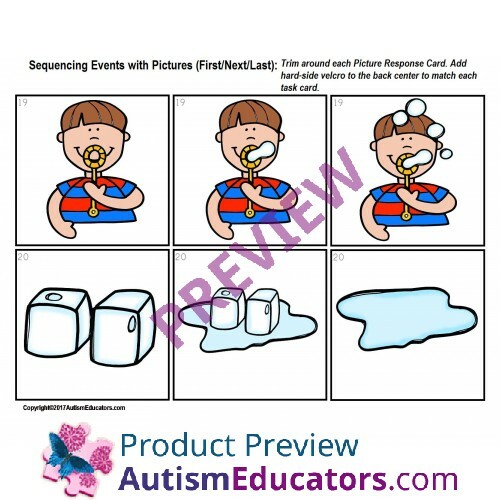 Given three color coded sentences and three pictures which are part of a sequence of events, STUDENT will independently read each sentence in order to sequence the pictures in the order in which they occur, with 80% accuracy, in 4 out of 5 opportunities, by MONTH, YEAR.